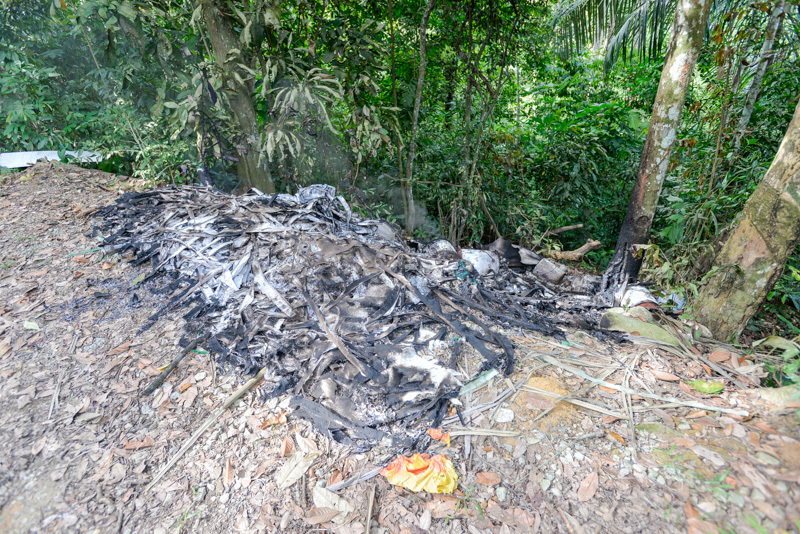 In 2014 and 2015 two families living on different parts of Pantai Hill contracted dengue. 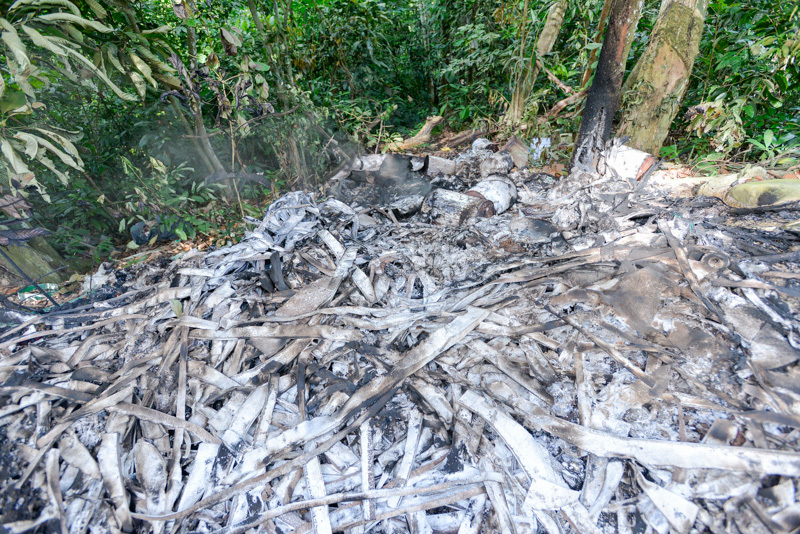 Although there were no deaths, we are very concerned with its presence here and would like to alert visitors to Pantai Hill of this problem. 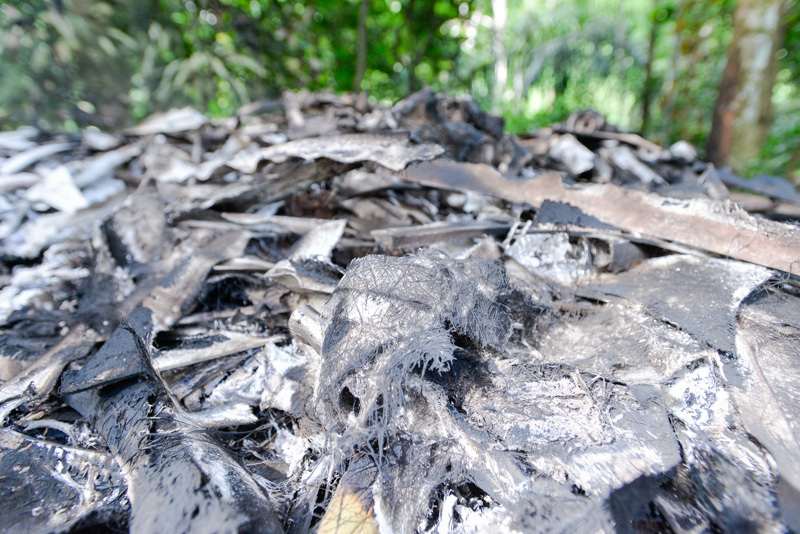 We associate the presence of dengue to the proliferation of trash and indiscriminate dumping of building materials from visitors, workers and increased construction activities on Pantai Hill. This behaviour by Pantai Hill contractors and workers needs to be urgently addressed, before more dengue cases happen on the hill. 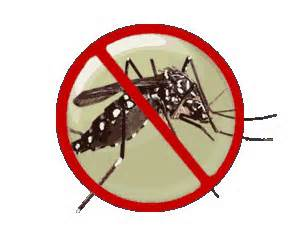 According to the World Health Organisation (WHO), dengue is the fastest spreading mosquito-bourne viral disease in the world. Its spread has been alarming with an increase from nine affected countries in 1970 to more than 100 countries today. A study by Brady et al in 2012 estimated that 3.9 billion people in 128 countries are at risk of infection. 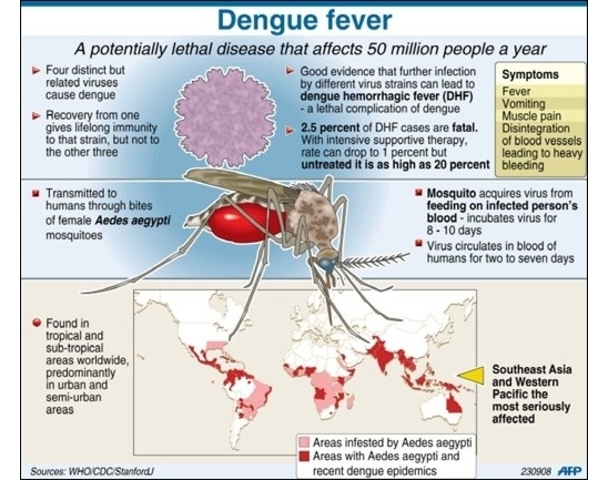 The surge in dengue has been most marked in Asia which accounts for 75% of the world’s population, with an estimated 1.8 billion people at risk of dengue. Rapid urbanisation has resulted in millions of people moving to the cities,with insuficient housing and basic infrastructure such as water supply, sewer and waste management, providing ideal conditionsfor the breeding of mosquitoes and dengue transmission. The description below is highly correlated to what is happening on Pantai Hill. Negative habits like littering, illegal dumping of garbage, apathy, poor environmental cleanliness and lack of adherence to guidelines in construction sites have to be addressed. 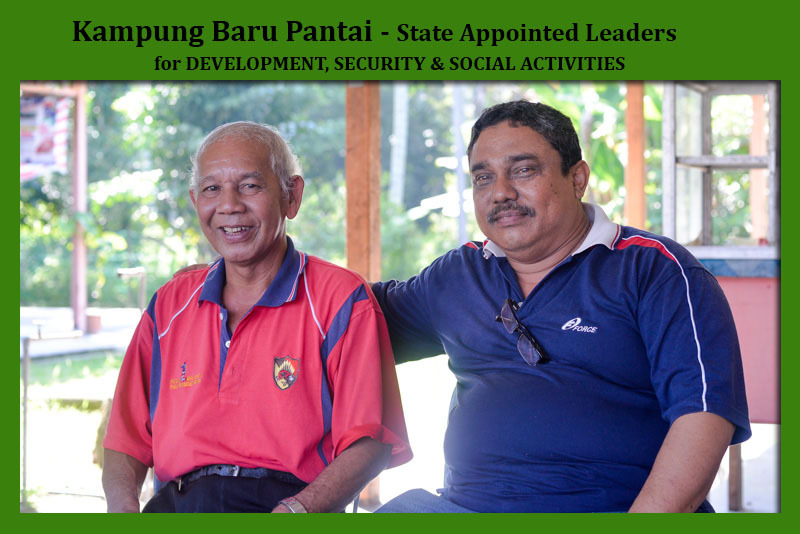 Left- MUSTAFA PENDEK – Kampung Baru Pantai Village Head & Chairman, Right- Mokhtar Omar – Secretary for Village Development, Security & Social activities. Pantai Hill Orchard Resort and its residents fall under the jurisdiction of Kampung Baru Pantai, we would like to introduce these men to all residents on the hill and also to visitors of Pantai Hill. As they say, a picture can say a thousand words…now you know who and where to meet them for anything of concern during your visits. This posting comes from a personal experience of leptospirosis in 2014 on Pantai Hill Orchard resort itself. Although i cannot identify or accurately pin where i contracted this disease from on Pantai Hill, i can however reduce its possibilities to a few places: 1. My pond, 2. 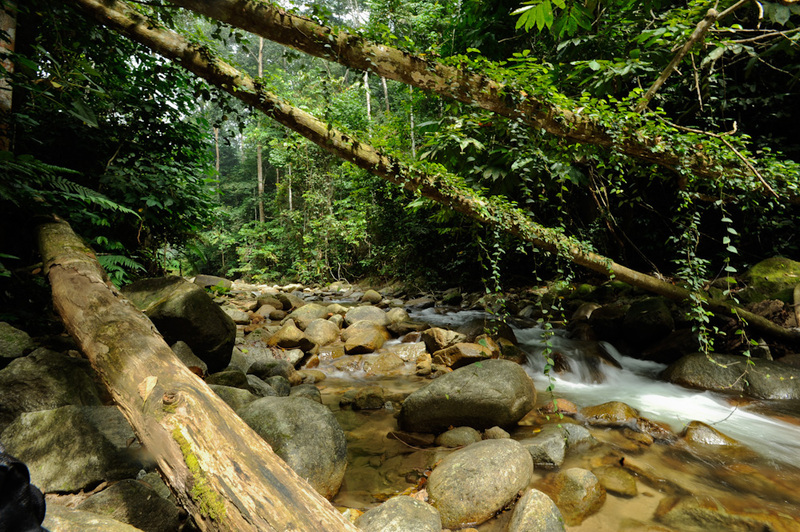 The river just outside the gates of Pantai Hill 3. Area surrounding my own house in Pantai Hill. 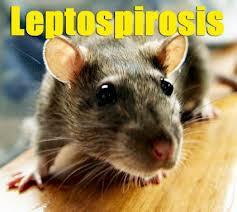 1 Jun 2013 … An 85.5% rise in cases of leptospirosis, commonly called the ‘rat urine … to be desired despite Malaysia having some of the best infrastructure. On precautionary measures, Dr Zulkifli advised members of the public to drink only boiled water and well-cooked food. He pointed out that a person could become infected with leptospirosis by wading in floodwaters contaminated with the urine of rats or other animals such as pigs, cows, dogs, or any wild animals infected by the leptospira bacteria. “Henceforth, it is crucial to note that in times of flooding, parents must ensure that their children do not play near the drains or wade in floodwaters as they may be contaminated with animals’ urine such as rats,” he said. Meanwhile, information obtained from the department’s website stated that humans become infected when exposed to water, food, or soil contaminated with urine of infected animals such as rats, cats, dogs, cows, goats, pigs, horses and wild animals. Leptospirosis is also known as “the Great Mimicker” and may be overlooked and underdiagnosed due to its varied clinical presentations. a) Reservoir and carrier hosts Leptospirosis has a very wide range of natural rodent, and non-rodent reservoir hosts especially rats, cattle, dogs, foxes, rabbits, etc. The animals act as carriers of the leptospires and excrete large number of leptospires in their urine, thus responsible for the contamination of large and small water bodies as well as soil. b) Flooding, drainage congestion Flooding and drainage congestion may be risk factors for contamination of water bodies with infected animal urine. Water logged areas may force rodent population to abandon their burrows and contaminate the stagnant water by their urine. c) Animal-Human Interface The potential for infection increases through exposure from occupational or recreational activities without proper protection. Poor cleanliness/sanitation in recreational areas may attract animal host such as rodent thus increases the risk of contamination. These may be due to poor maintenance of facilities, improper disposal of waste and public attitude/ apathy. d) Human host risk factors Several sections of the population are more susceptible to infection such as those not previously exposed to the bacteria in their environment (naïve immunities), and those with chronic disease and open skin wounds. Infection is acquired from contact through skin, mucosa/ conjunctiva with water or soil contaminated with the urine of rodents, carrier or diseased animals in the environment. Ingestion of contaminated water may also cause infection. There is no documentation of human to human transmission. • Workers in the agricultural sectors • Sewerage workers • Livestock handlers • Pet shops workers • Military personnel • Search and rescue workers in high risk environment • Disaster relief workers (e.g. during floods) • People involved with outdoor/recreational activities such as water recreational activities, jungle trekking, etc. • Travelers who are not previously exposed to the bacteria in their environment especially those travelers and/or participants in jungle adventure trips or outdoor sport activities • People with chronic disease and open skin wounds.